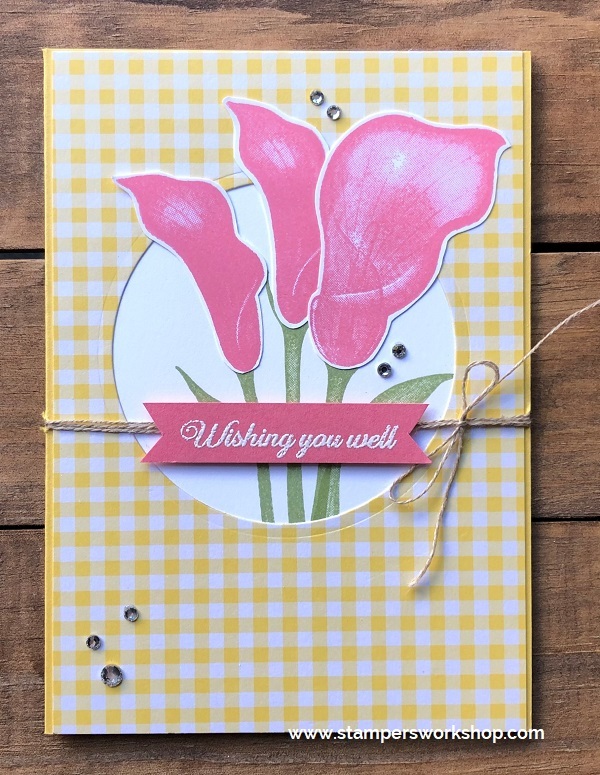 Hi everyone, today I am sharing another two cards CASEd from the Sale-A-Bration catalogue. 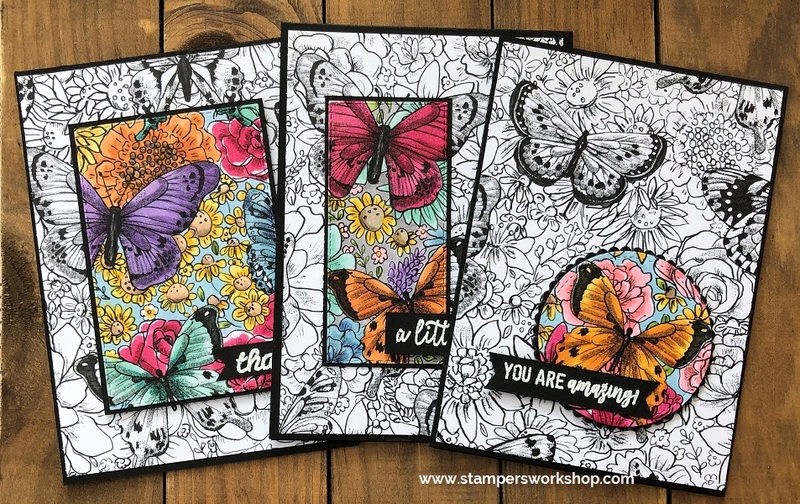 The cards featured the Lasting Lily stamp set which is a limited edition, Sale-A-Bration stamp set. This means it could be yours for free when you place a qualifying order. 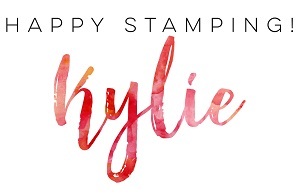 I think it would make a great addition to any stamp collection. 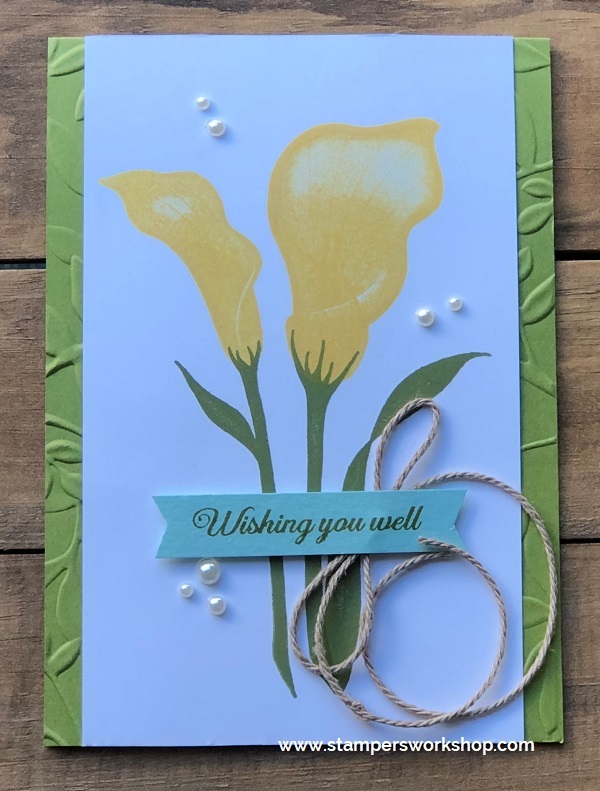 The catalogue featured two colourways – one with Daffodil Delight for the petals and the other card featured Pool Party for the petals. I loved them both so I had to make them both. When you are CASE-ing projects, don’t worry if you don’t have the same supplies – just go with what you have. Sometimes you might just be inspired by the overall design, or colour palette and other times you might more faithfully recreate it. 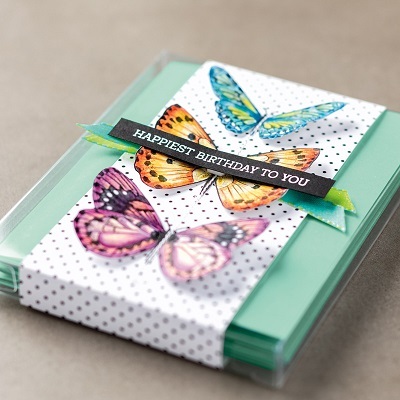 Just try and put your own spin on the card – you’ll love it more! 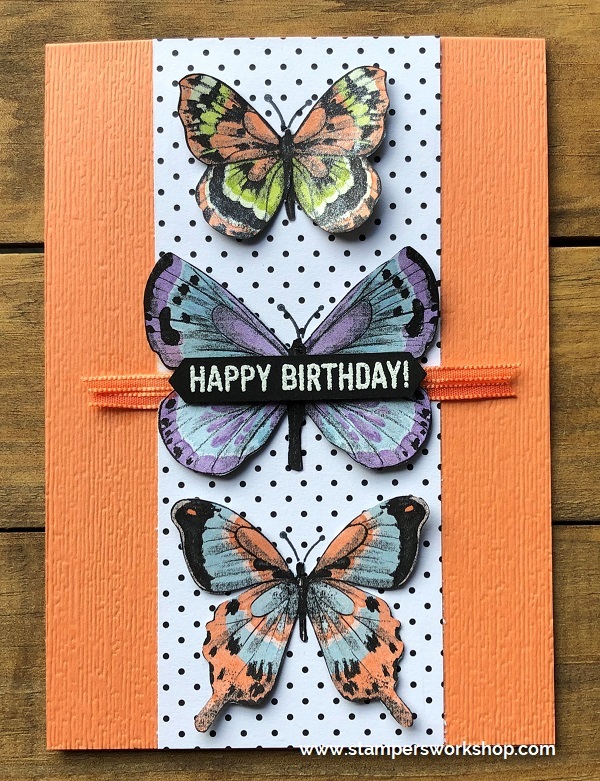 I certainly didn’t have the same supplies but I really like how the cards finished up. Aren’t they pretty? The one thing which I really wanted to point out to you is that I stamped the sentiment in Old Olive on the Pool Party Cardstock. 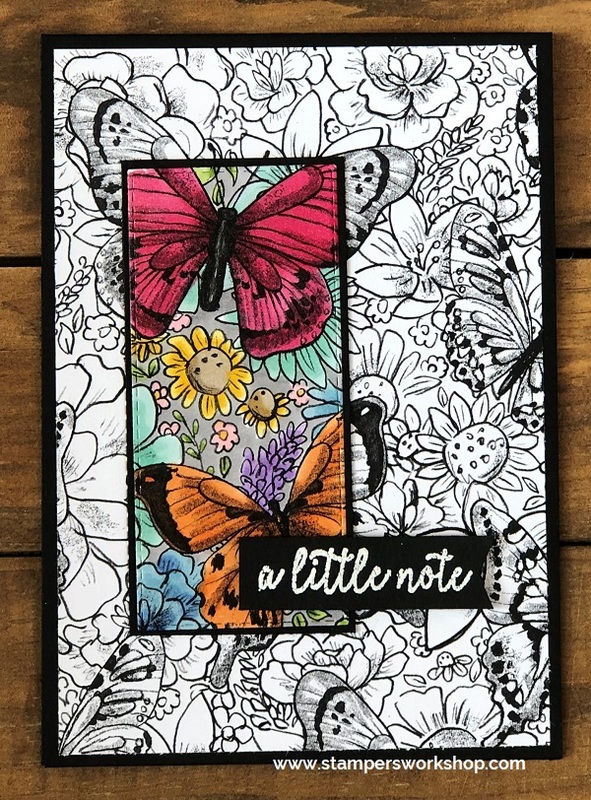 I tend to favour stamping on Whisper White cardstock or do white embossing on Basic Black cardstock. Doesn’t this look really lovely though? I think I am going to have to try this again more in the future! I hope you’ll give it a try too! 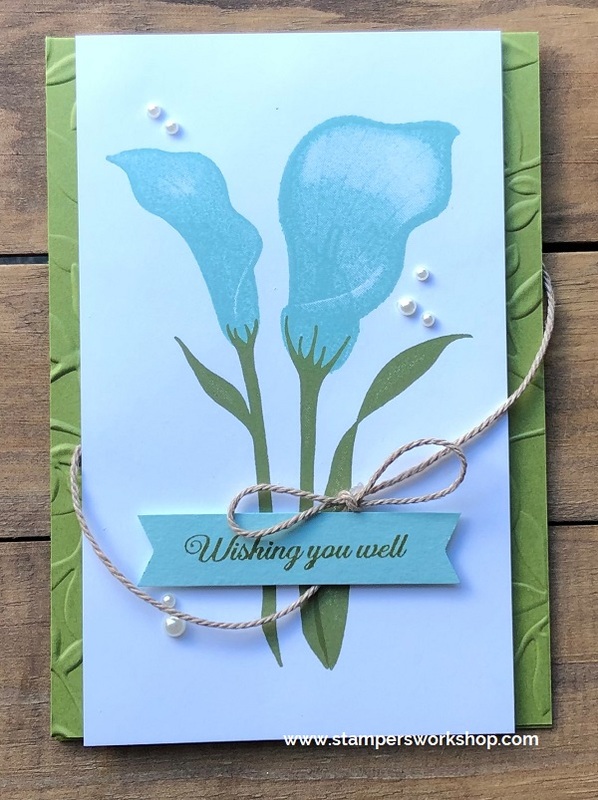 Hi everyone, as we draw nearer to the end of Sale-A-Bration, I thought I would share a card using the beautiful Lasting Lily stamp set. 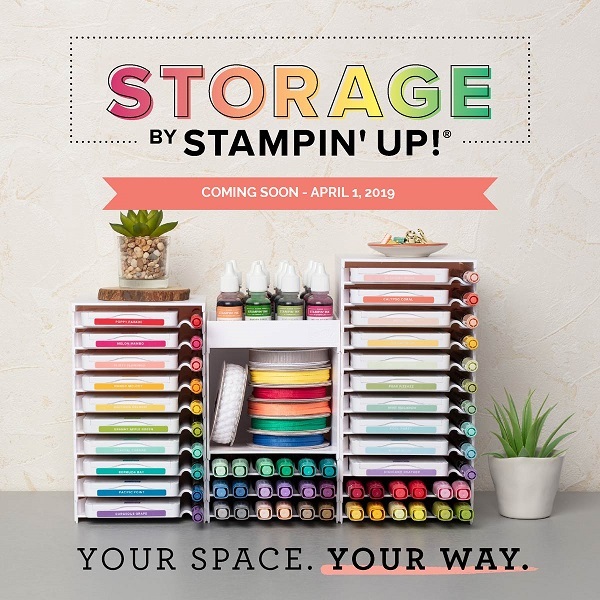 This is a stamp set which could be yours with a qualifying purchase during Sale-A-Bration. 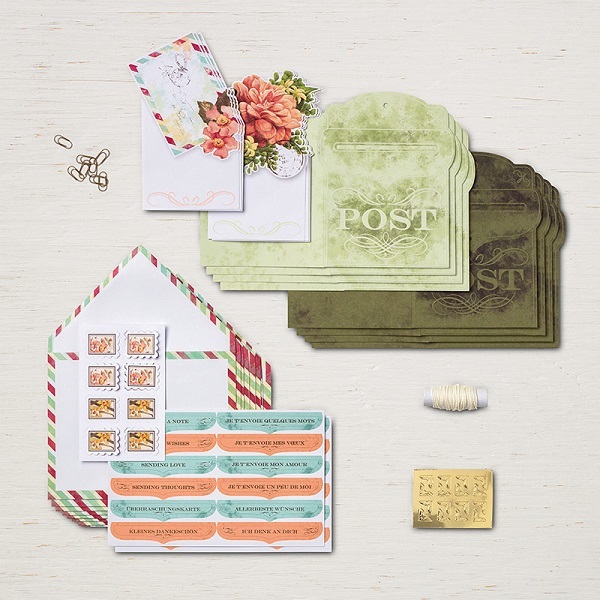 It is a lovely stamp set and is perfect for Sympathy cards. I find those types of cards very difficult to make. A stamp set like this makes it much easier. The lilies themselves are beautiful and the sentiments are so lovely. 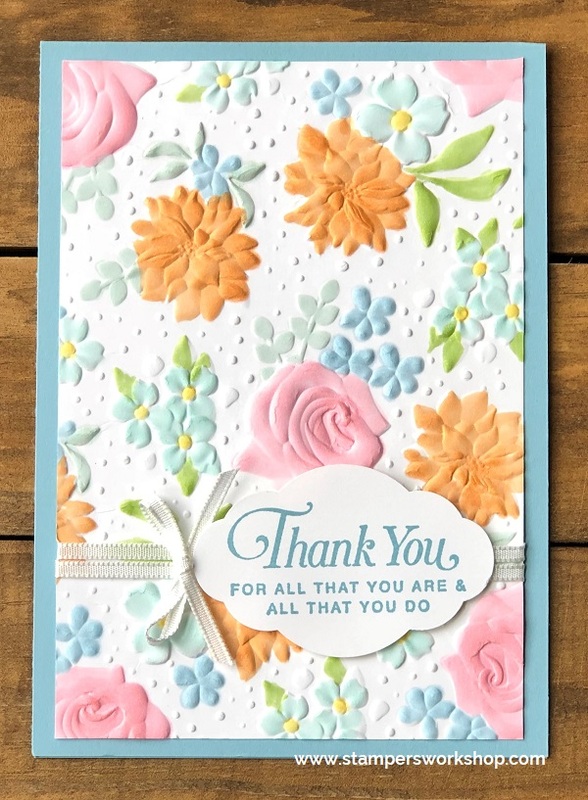 I decided to make a brighter thank you card with this stamp set. I will definitely pick my recipient as I know some people have very strong opinions regarding the lily. One member of my family refuses to have lilies in his house and refers to them as the death lilies. 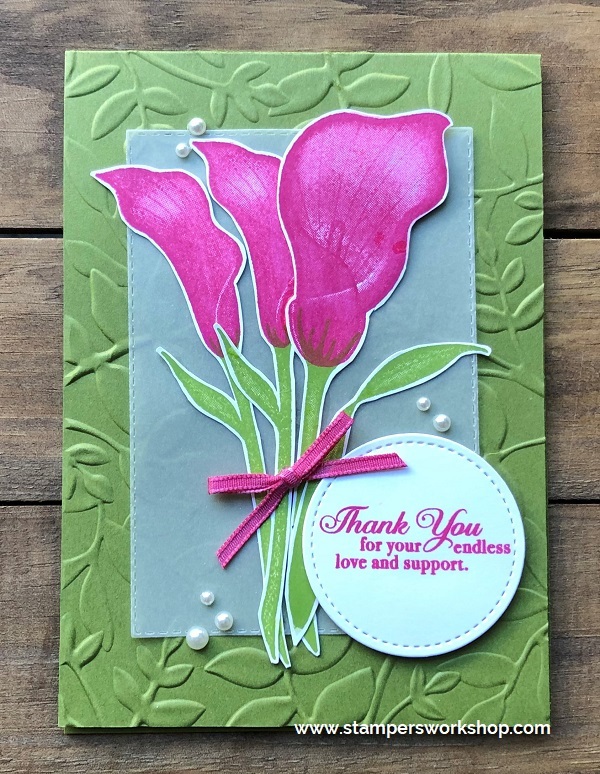 I actually started by embossing Old Olive cardstock with the Layered Leaves embossing folder. I hadn’t used this folder in a while and I don’t know why not as it is fantastic! I then stamped up my images and cut them out. There are coordinating dies which would have made this a lot easier! Next up I added a layer of vellum and then positioned the lilies. I stamped the sentiment and die cut it with the Stitched Shapes Framelits dies and adhered with Stampin’ Dimensionals. I didn’t have any coordinating ribbon so I took the Whisper White Sheer Ribbon and coloured it with the Dark Lovely Lipstick Stampin’ Blends Marker. I added this bow to the flowers. Lastly, I added some of the Pearl Basic Jewels to finish off the card. 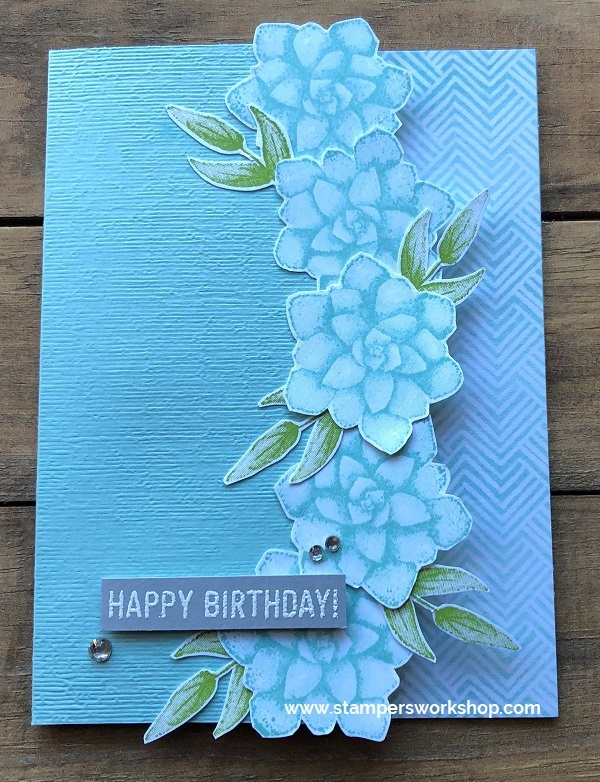 The more I look at this card the more I think it look beautiful when made with a Very Vanilla background and then some soft shades like Petal Pink or Blushing Bride for the petals and Soft Sea Foam for the stems. Hmmm….might have to give it a go. 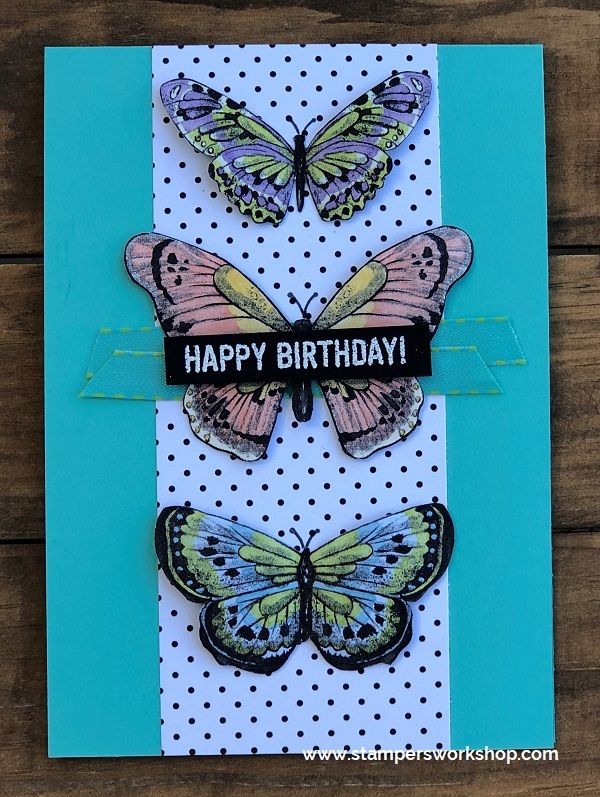 Hi, I love card kits! Let me share some of the reasons why. Firstly, all of the design work has been done. Everything coordinates perfectly. In most cases, all you need to do is just assemble to finish off the card. 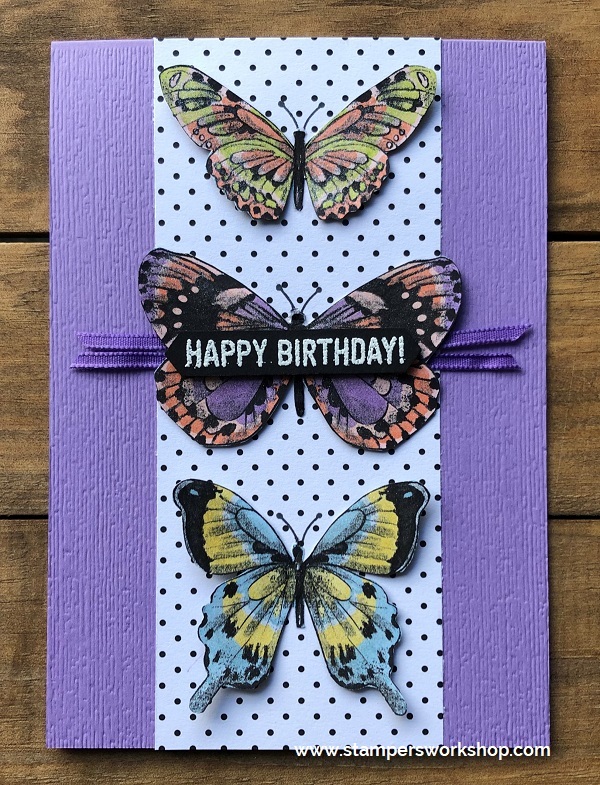 Card Kits are fantastic when you feel like your mojo is missing. Often times by the time I have finished with a kit I am feeling completely inspired again. Another benefit of a kit is that it is easy to take with you on the go. 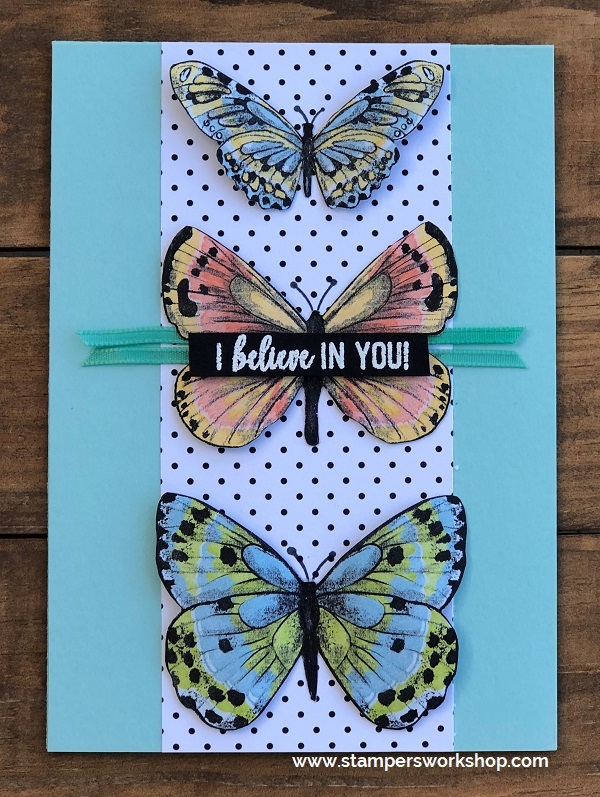 Kits usually contain most of the things you need to complete all of the cards so you don’t need to take a lot of things – maybe throw in some scissors or the like (the instructions will tell you what you need to complete it). Isn’t that lovely? 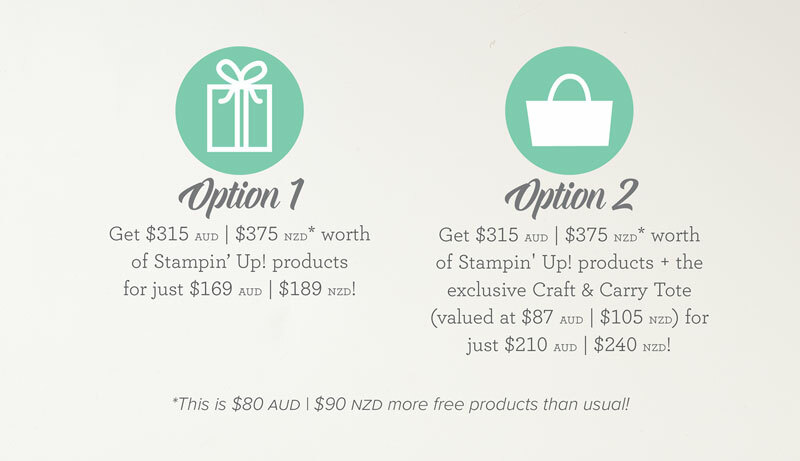 If you like it, you could choose it as your free item when your order reaches $90 during Sale-A-Bration. Sale-A-Bration ends on 31st March 2019.